Affin Bank Berhad (AFFINBANK) is a wholly-owned subsidiary of Affin Holdings Berhad which is listed on Bursa Malaysia.It commenced operations in January 2001 following a merger between the former Perwira Affin Bank Berhad and BSN Commercial (M) Berhad in August 2000. 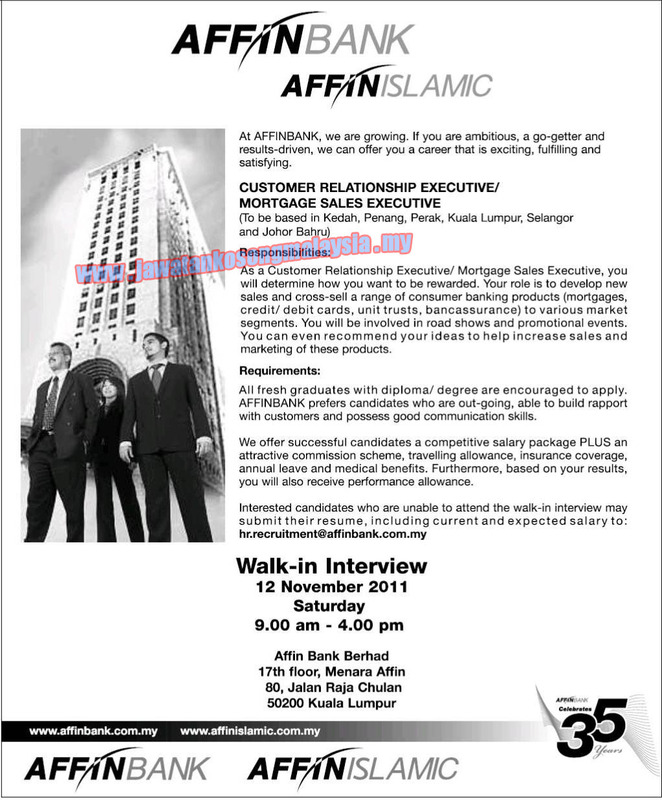 In June 2005, it merged with the former Affin-ACF Finance Berhad. To date, it has a network of 82 branches nationwide. The Bank is constantly reviewing the geographical reach of its branches to better serve its customers. Towards this end, the Bank is on constant look-out for more strategic locations for the existing branches and to relocate if deemed appropriate.